please drop email at Support@izenbridge.com , i will ensure you get response today. Congratulations for Clearing PMP exam, and we are happy to know that you found our program useful. In recent weeks i had many conversation around failing in PMP exam, i realized that i need to compile all my learning in form of Blog and share with future test takers. Here is the blog. Congratulations !!! and thank you for sharing your detailed observation on PMP exam. Very simple and basic conversation around these three topics. Congratulations !!! thank you for sharing your exam experience here. As communicated over email, lets target to have session this Saturday. Congratulations !!! Thanks you for taking our PMI-PBA online program. Topic: Whether "Project Team" and "Sponsors" are also considered as "Project Stakeholder"? Whether "Project Team" and "Sponsors" are also considered as "Project Stakeholder"? I do not find people using Burn Down Chart at Product level, technically we can use burn down for anything. i responded to your PMI-ACP Introductory thread as well. Congratulations !!!! Thank you for enrolling to our online program on PMP. No rule for this in general but since we are doing estimate and it make some sense to keep some contingency reserves we should say 4, since even if we do with planned velocity we will not finish it in 3 iterations. I understand sometime this becomes tricky in PMI-ACP exam. Analyze the situation and options, make stakeholders aware of options and do as per the best agreement. identify the strategy of running the project, its always said, before you do .. you think...so new PM will first think... think based on where we are and what is planned. if i am PM, i will talk to Sponsor and make him aware of consequences of approving change request without following the change management process. I will make him aware of the reasons for which change management process exists in projects. i am not clear about the context, usually when we talk about Strategy we talk something beyond Project, and Project help in achieving some of the strategic goal. whatever happen in project, project manager is responsible for it. I am not sure in which context you are asking this. i think no one case give you prescription for solution, you need to take stock of situation and learn what can be best done. So look for options where it gives you time to think and decide what should be done for same. Congratulations !! and Thank you for selecting our online PMI PBA preparation program. Congratulations Parag and thank you for using our Online program. PMI-PBA Program is not approved for SEUs, so please do not apply SEUs for it. Yes you can apply PDUs. Please note PDUS can only be applied when you have one of the PMI certificate . 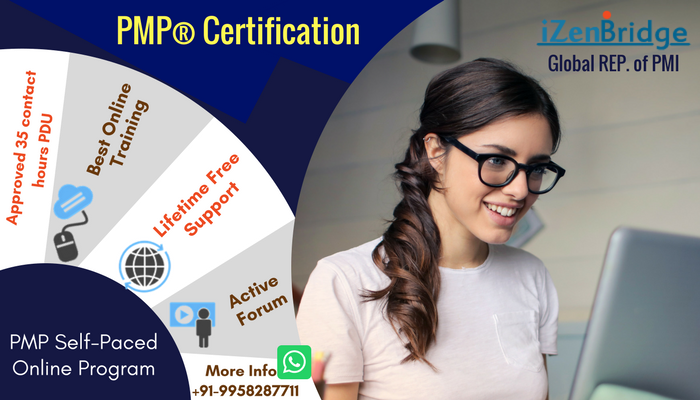 So if you are PMP certified than only you will be able to apply PDUs. AOA is not more tested in PMP exam, still this thread can show you what it is. Topic: Cleared PMP in my first attempt on 02/20/2017 !!!!!! Re: Cleared PMP in my first attempt on 02/20/2017 !!!!!! Congratulations !!! and Big thanks for using our PMP online prep . Thank you for sharing details of your exam experience. Congratulations !!! and thank you for sharing your PMP preparation approach. Big thanks for selecting us as your training provider. Congratulations !!! big thanks for enrolling to our online PMP prep program. Congratulations !!! and thank you for selecting us as your training provider. Also big thanks for your active participation at forum. Not many times on NPV but yes for SPI, you may like to explore exam experience shared by resent test takers . Looking at this blog may resolve your query. As of now no agreement on defining DevOps on industry. for PMI-ACP it is not at relevant. The concept primarily focus on close collaboration between development team and operational team, promoting people who develop also operate the software. Topic: Requirement are captured in user story? Re: Requirement are captured in user story?